COLUMBIA, Mo. – At 1:45 p.m., on Tuesday, March 4, University of Missouri officials will test all components of its Mass Alert and Warning System in conjunction with state and local severe weather drills. 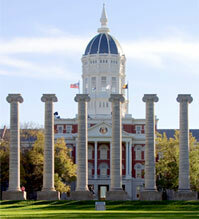 The upcoming drill will be the first test of MU’s full emergency alert system while students are on campus. Desktop notification to computer screens that have MU’s alert software installed. Students, faculty and staff can visit http://mualert.missouri.edu/ for instructions on opting in for emergency text message alerts. This website also contains a summary of MU’s Emergency Operations Plan and evacuation procedures.